According to a report from the University of Maryland, there have been 27 hate and racial bias incidents on campus this past semester. News4's Tracee Wilkins reports. According to a report from the University of Maryland, there have been 27 hate and racial bias incidents on campus this past semester. The report, which the university is releasing next week, includes reports to the university police and the Office of Civil Rights and Sexual Misconduct. New policies to deal with the incidents were revealed on Nov. 27, including the creation of a hate bias coordinator, which has not been hired. 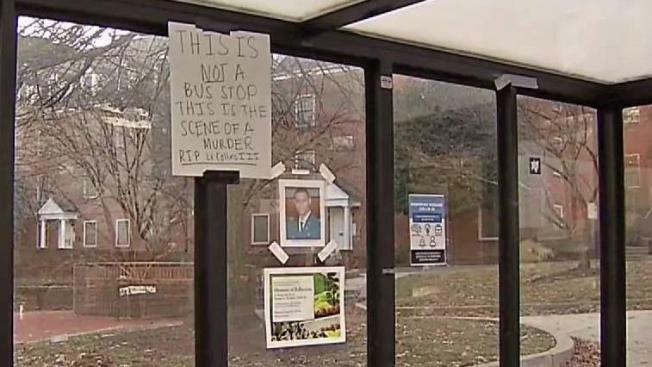 The new rules come after high profile incidents on the campus this year, included the stabbing death of a Bowie State University student, a noose found in a fraternity house, and at least three incidents of swastikas scribbled inside a restroom. In May during final exams, Richard Collins, a visiting Bowie State student, was stabbed to death while waiting at a bus stop on the College Park campus. He was three days from graduating as a second lieutenant. Sean Urbanski, a University of Maryland student, was charged with murder and a hate crime in the stabbing death. A spokesman said the university is proactively dealing with race and racial bias. However, some students question whether the school is acting quickly enough.